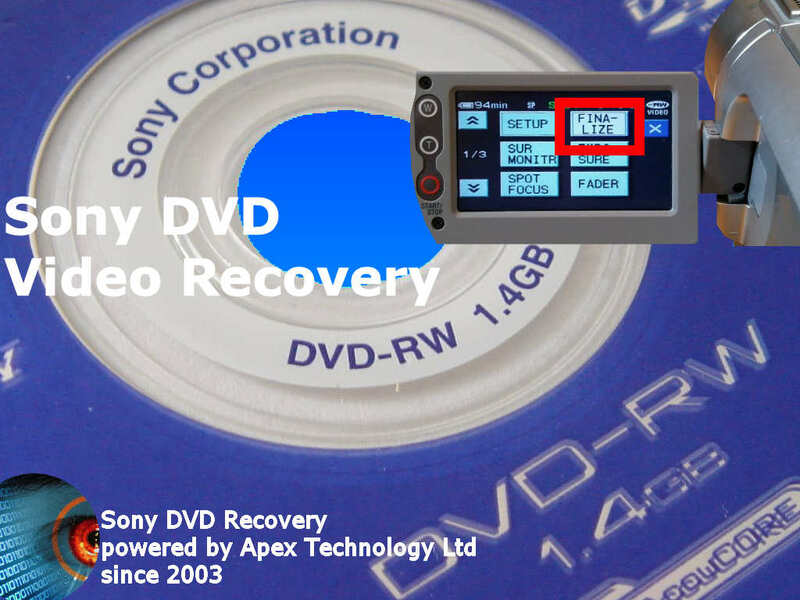 If you need a Sony finalize dvd-r dvd-rw empty blank disc recover video service, then contact our friendly company. Sony DVD+RW and DVD-RW discs often appear blank, empty or 0 bytes even though you can still see burn marks where the laser has saved video to the disk. The marks extend outwards from the centre of the disc. Sony DVD-R disks usually suffer problems when attempting to finalize the disc. A C:13:02 disc access error is commonly displayed on the lcd screen. We can recover the video from Sony mini dvd handycam disks.